• 54% of women believe there are now more women working in tech than five years ago. • 63% of women cite ‘being taken seriously’ as the number one challenge in the tech industry. 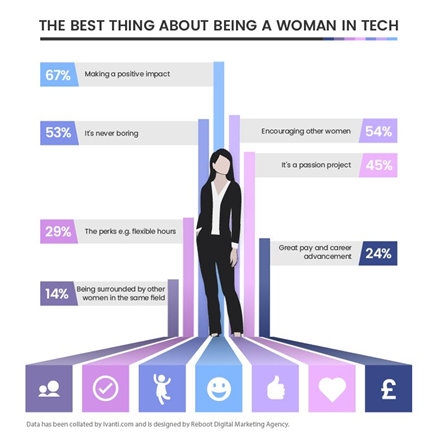 • 67% of women believe ‘making a positive impact’ is the best thing about being a woman in tech.